I feel like all I need to tell you about Casiokids is that they are a super-fun Norwegian band. Are you sold yet? No? Well, they have also been opening for Hot Chip on their current European tour and don't tell Hot Chip but there are critics who are saying the opening act is outshining the headliner. Apparently they also have a song on the FIFA video game or something but I don't play video games and if I did they wouldn't be soccer-related. We certainly won't hold that against them though, I just want to dance y'all and maybe have some free alcohol. Oh, SXSW, you so crazy! Speaking of crazy, one of the things Casiokids are known for are their shadow-puppets. Seriously, that's a documented fact that I'm not making up. I wonder how that's gonna work out at these outdoor day parties? I'm looking forward to finding out. Thu 03/18 Official Showcase, not sure where. The party info above I've culled from the band's label but as you may have noticed some of the information seems to have holes in it. 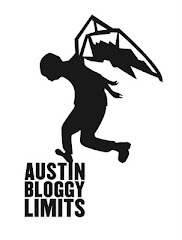 You can always see what my brethren of the blog over at Do512 have for info as well.